Lake Wyaralong – Mumma, Did You Know? 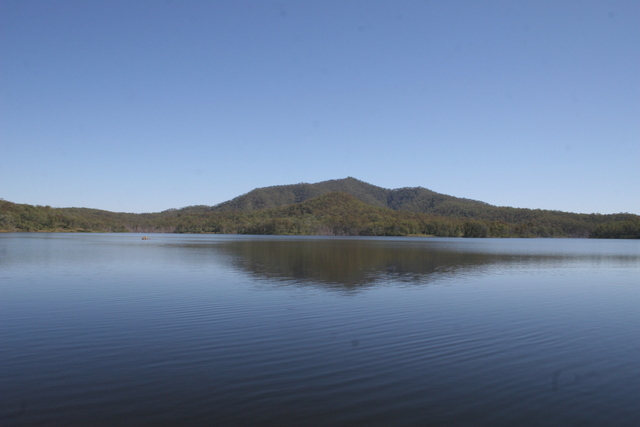 We visited Lake Wyaralong a few weekends ago – it’s a newish lake, completed in 2011, with bike and horse trails nearby. Our little guy wanted to go fishing, so we packed up a morning tea picnic and some fishing rods, and headed out to the lake. For the more adventurous types, it looked pretty awesome with a camping spot along the bike tracks that’s also accessible from the lake (after a walk uphill). There is a small camping area near the carpark and picnic area, but given the park closes at 6pm, it would quiet enough overnight to not matter that you’re next to the carpark and road. Camping is also free at the moment. We caught no fish (forgetting the bait did not help) but had fun at the playground, had a nice picnic in the shade of a tree overlooking the lake, and considering buying kayaks in future years. It would be fun to do a trip via kayak, I think, and a nice quiet calm dam would be just the spot to do it in.